Not a bad debut for the new starting pitcher. 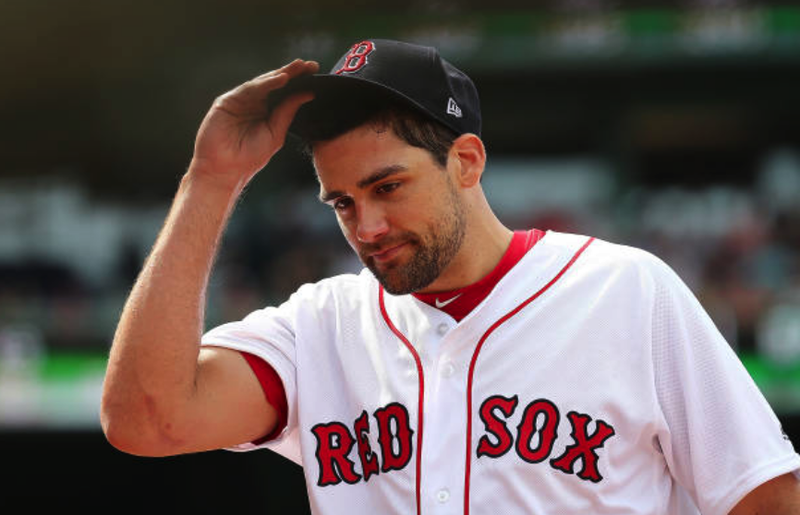 Nathan Eovaldi hurled seven shutout innings on Sunday to help propel the Red Sox to a 3-0 shutout win over the Twins. Pretty much the entire Boston offense was powered by J.D. Martinez—who drove in all three runs with a double and a single. In addition to Martinez, there were three other Carmine Hosers with multiple hit games: Andrew Benintendi, Eduardo Nunez and Blake Swihart. Inexplicably, Eovaldi was taken out of the game after throwing just 82 pitches. Luckily, the bullpen held this time, giving the flame-throwing righty his fourth win of the year. The victory keep Boston's lead in the American League East at 5.5 games over The Evil Ones. The surprising first-place Phillies come to town next for a brief two-game set.